This isn’t going to be one of those posts where I share a specific recipe. It’s one where I share a basic recipe idea… and then you can take it from there and get creative in your own kitchen. 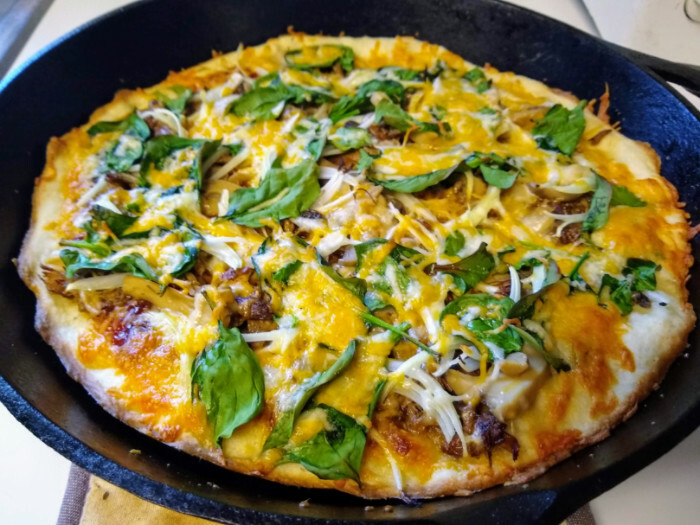 To make this BBQ pizza I started with 3 pizza crust mixes. You’re probably familiar with the ones I’m talking about. The kind that come in a pouch where you add 1/2 cup of hot water per mix and then stir them all together. I followed the direction on the package and let the dough rest while I got the rest of the ingredients ready. This included draining a can of mushroom stems and pieces, thinly slicing an onion, and thawing out some leftover crock-pot root beer pulled pork that we had in the freezer. 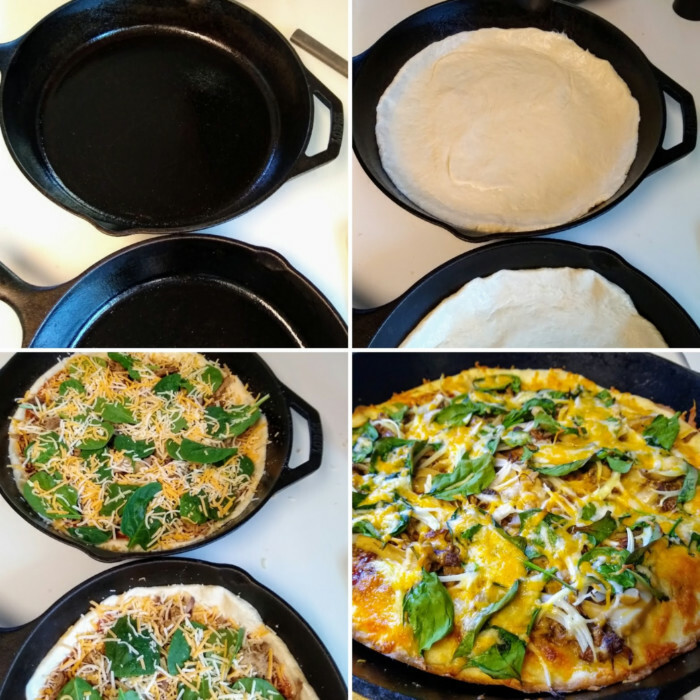 I coated each skillet with some leftover bacon grease and then rolled out the pizza dough. Then it was time to assemble our BBQ pizzas. For the sauce, you can use your favorite BBQ sauce and then top it however you want. 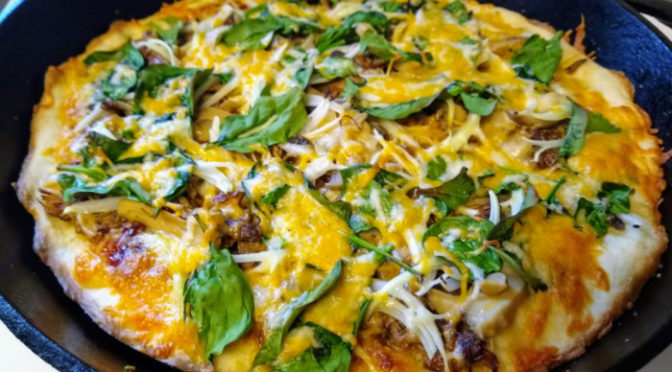 I used pork, onions, mushrooms, spinach, and cheddar jack cheese. They baked at 425 degrees for about 20 minutes and turned out great! For toppings you can use whatever leftover BBQ meat you have on hand. BBQ chicken would be really good. I think peppers, jalapenos, and chopped tomatoes would also be good additions. What would you put on your BBQ pizza? 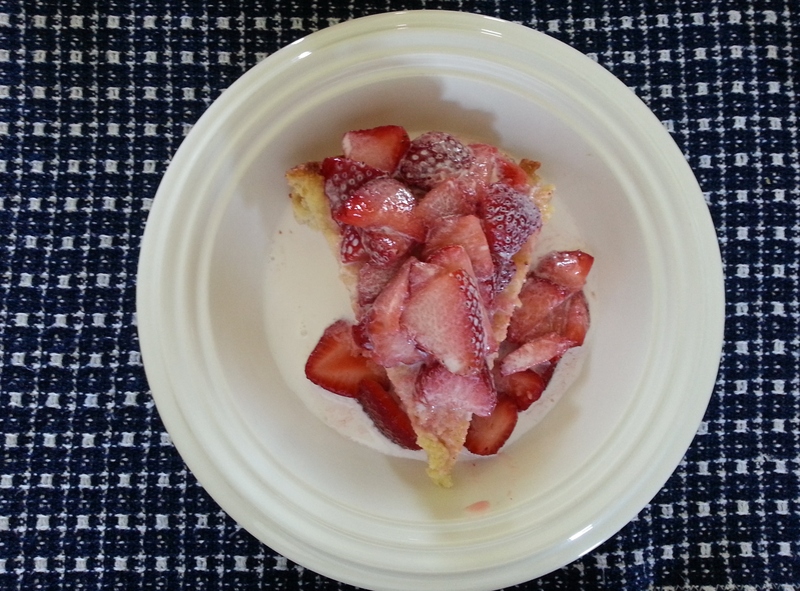 I’ve written before about strawberry shortcake… and how I learned to like it served in a way I had never experienced before I met my wife and her family. This way is the only strawberry shortcake my daughters have known and it’s really easy to make. Now, in a first for my blog, my oldest steps out from behind the camera and stars in our first ever baking video! 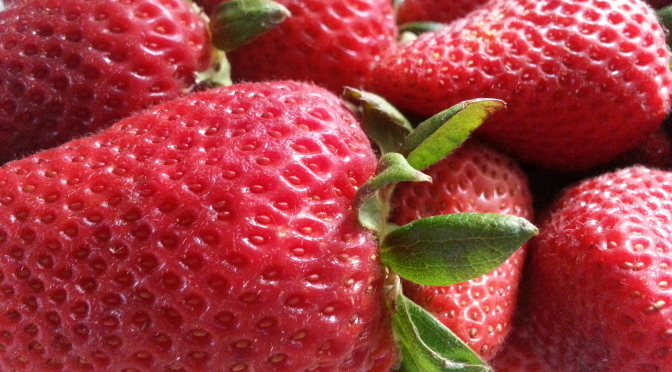 What type of strawberry shortcake do you like? I like easy recipes. I really like easy recipes that taste great. Well, it doesn’t get much easier than this. Five ingredients put together to make one tasty casserole. Spray your casserole dish with cooking spray. 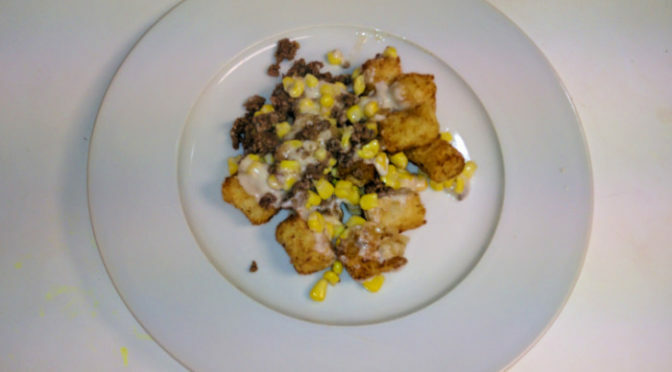 Layer the browned hamburger and onions, frozen vegetables, cream of mushroom soup, and tator tots. Bake in a 350-degree oven for one hour. Forty minutes covered, twenty minutes uncovered. I’m a big ketchup fan and love to put some on this. Other people don’t. But it’s good either way. Below is a how-to video of me putting it together. I optimistically called it a “family favorite”. 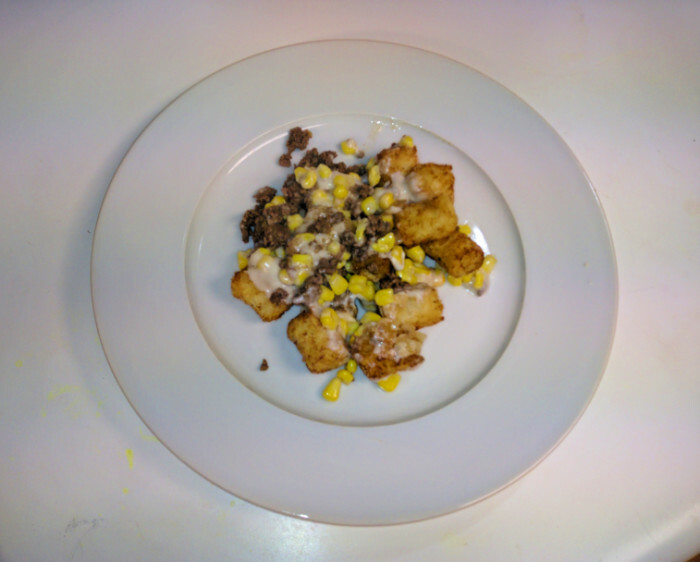 Truth be told, my daughters tolerated this recipe but didn’t appreciate it as much as my wife and I did. That said, it is really easy to make and a favorite of mine.